Communications & Marketing Article Formula Exposed: Our Simple Four-Step Guide | The Gettysburgian. A detailed diagram of the GCC&M formula, see more examples at the bottom of this article. 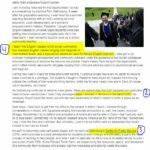 Have you ever noticed that every article on gettysburg.edu is the same? Literally by inserting a new name and some new photos, you too can be the author of “original” content for the college website. 1) Choose a first-year seminar or— if you’re particularly adventurous—a senior seminar that had a great impact on the student being spotlighted. This seminar had a single-handedly life-altering impact on the student, no matter what. 2) The student then goes abroad. It doesn’t matter so much where. The key is that it too was a life-altering experience that provided them a new perspective on the world. 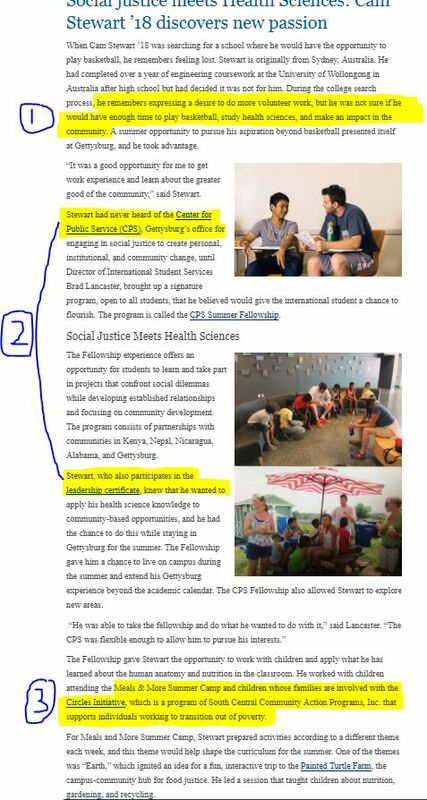 If the student happens not to have studied abroad—and this is typically a disqualifier from being plastered on the website—double down on the narrative of how the student arrived at Gettysburg College and envisioned every component falling into place exactly as it did … except for that transformative experience in part three. 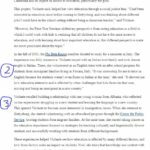 4) An internship or job placement relevant to the study abroad experience caps off this article with a gushing quote on how liberal arts prepares you to do anything.